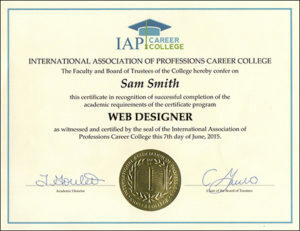 Imagine having an exciting, high-paying career that lets you use your creativity to design web pages and websites. Welcome to the web design business! When you become a web designer, you can enjoy the freedom of being your own boss by starting your own business providing web design services. Instead of going into an employer's office to work, you can work “virtually” from the the comfort of your own home or another location of your choice. You will have a flexible, financially rewarding business that gives you the freedom to do work that you love. Plus, you will work in an exciting career where your services are in demand. According to the U.S. Bureau of Labor Statistics, employment of web designers is expected to grow through 2018. You could start your own freelance web design business and become a web designer immediately, earning an hourly rate of $25 to $50 per hour or more designing web pages and websites for companies and other clients. If you would like to be paid to provide web design services, the FabJob Guide to Become a Web Designer is for you! 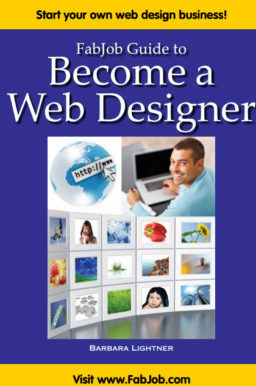 In this e-book you will discover how you can get started and succeed in the exciting and creative web design business. 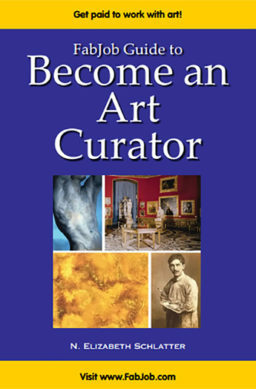 The guide's contributors include top web designers and web design experts. Insider advice on how to become a web designer and start a web design business is shared by more than a dozen successful web designers and experts, such as Courtney Darling, owner of Darling Designs, designer of Webby Award-winning websites (“the Internet's highest honor” according to The New York Times). You can have all this and more for an incredible price. 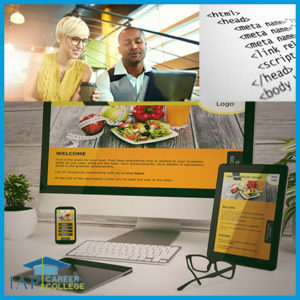 It can cost hundreds of dollars to take courses on starting a business, and chances are they will not include specific information about starting a web design business. The FabJob Guide to Become a Web Designer contains some of the best business advice you could get from other sources, plus much more. The information in this guide can save you many hours of research, help you avoid some costly mistakes, and give you information you need to become a web designer and start a web design business. 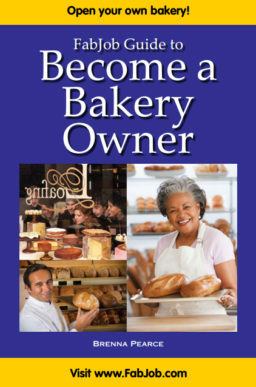 You can earn back more than the price of the guide your very first day in business. Plus this guide can help you become a web designer and start a web design business much more quickly and profitably. If you believe you deserve to have the career of your dreams, this guide is for you. It gives you what you need to know to become a web designer, including how to provide services and start your own web design business.